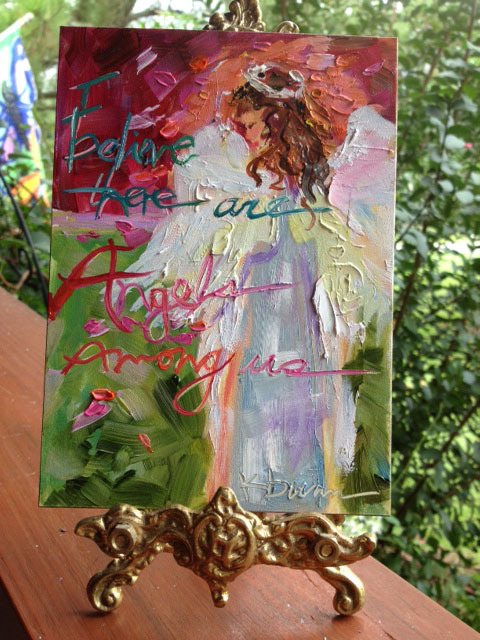 here’s my first angel in my Christmas Angel series………she’s titled “Angels among Us”………oil on 5″x7″ ampersand panel with text incorporated in composition……”I believe there are angels among us.” Perfect for framing or display on table. 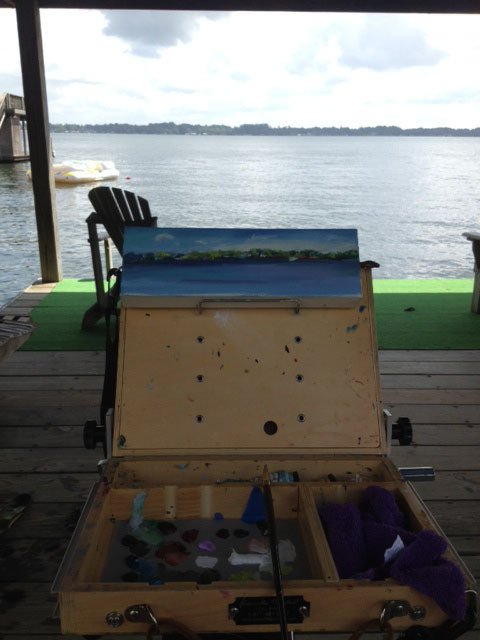 I did get a chance last week to steal a few minutes for painting down by the lake. I was hopeful that a sailboat or two would glide by, but no such luck! I’ll be taking this painting back down to catch a few sails soon. Someone (not telling who) celebrated a birthday last week……………mmm………wonder who that could be? 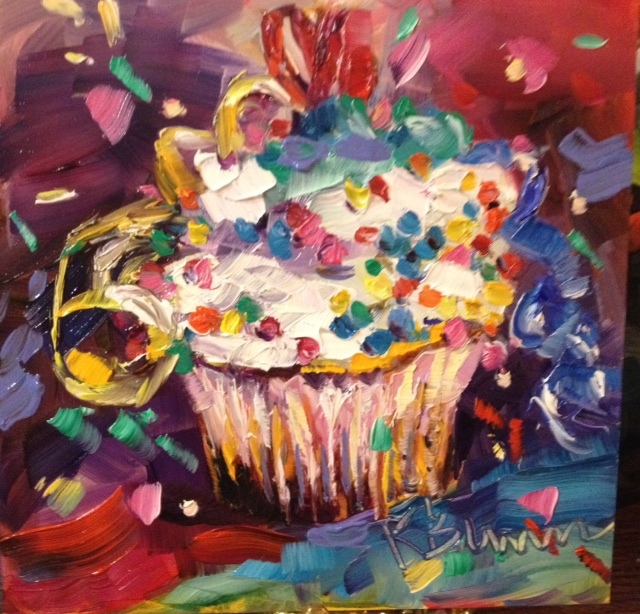 A lovely way to celebrate is with a Burney’s Sweets and More luscious creamy sweet cupcake! I just love that place, too much! 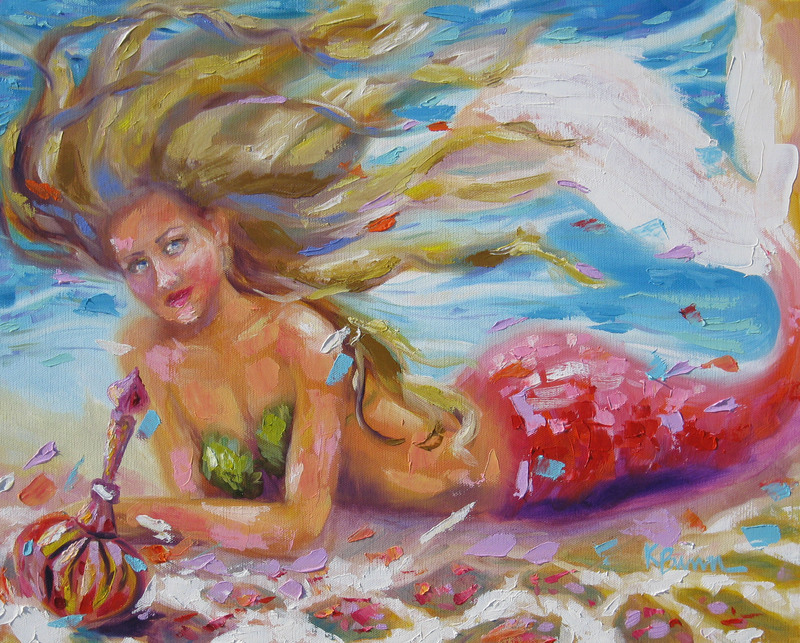 Hi Friends, I am thrilled to announce that two of my mermaid paintings have been accepted in BEACH art exhibit in Cary, NC. and YOU are invited to come see the show and come see ME! Here is the announcement from Chambers Arts……. “I am so excited. 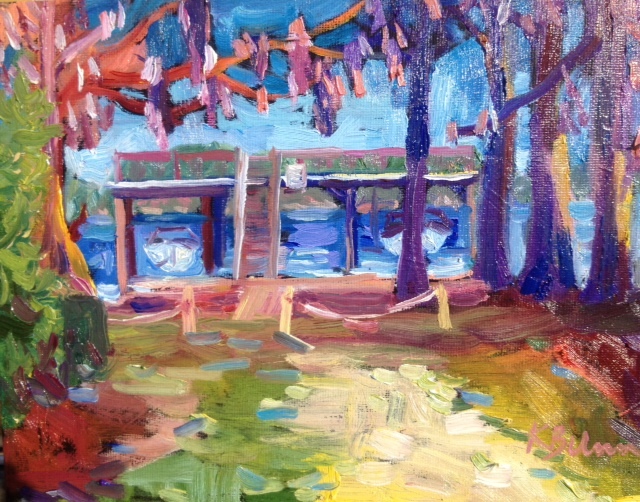 Please mark your calendar – August 31 – Final Friday 6-9 pm for the artists’ reception for Chambers Arts Beach! Art Exhibit. The work is, well, humbling. It is so beautiful and now I am at the Beach! right here at Chambers Arts! www.chambersarts.com located in Ashworth Village in Downton Cary, NC. You can meet the artists that Friday night too while we celebrate The Beach! Beach! exhibits August 25th (Lazy Daze) through September 19, 2012. 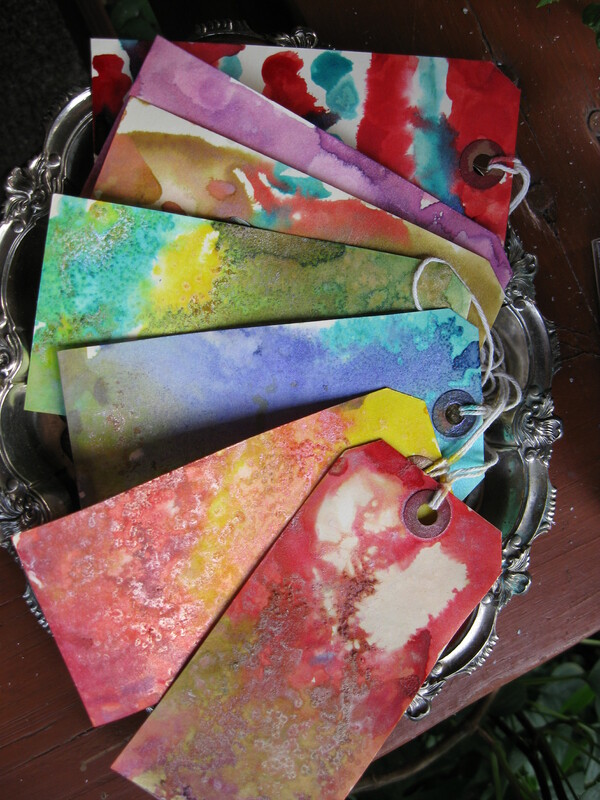 I’m always on the lookout for the newest hip art products, and these shimmering watercolors are awesome! 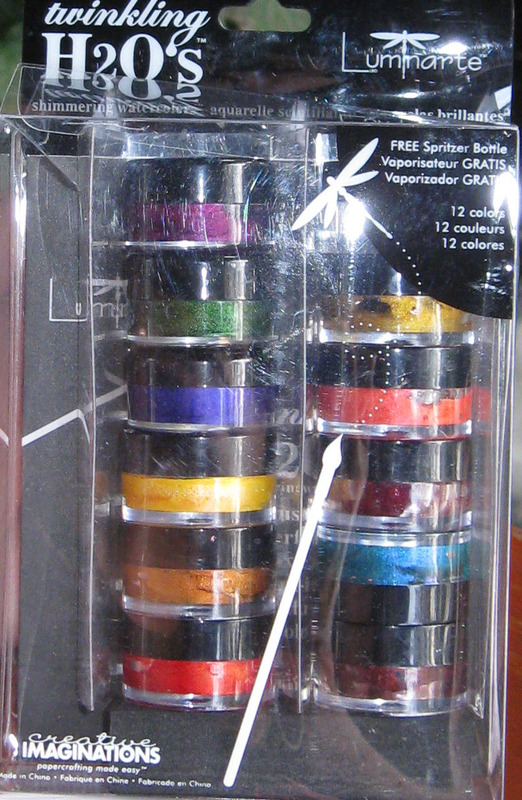 They work like watercolors and go on smoothly and when dry are lustrous and shimmery. I love them! They will be available at Hobby Lobby soon. 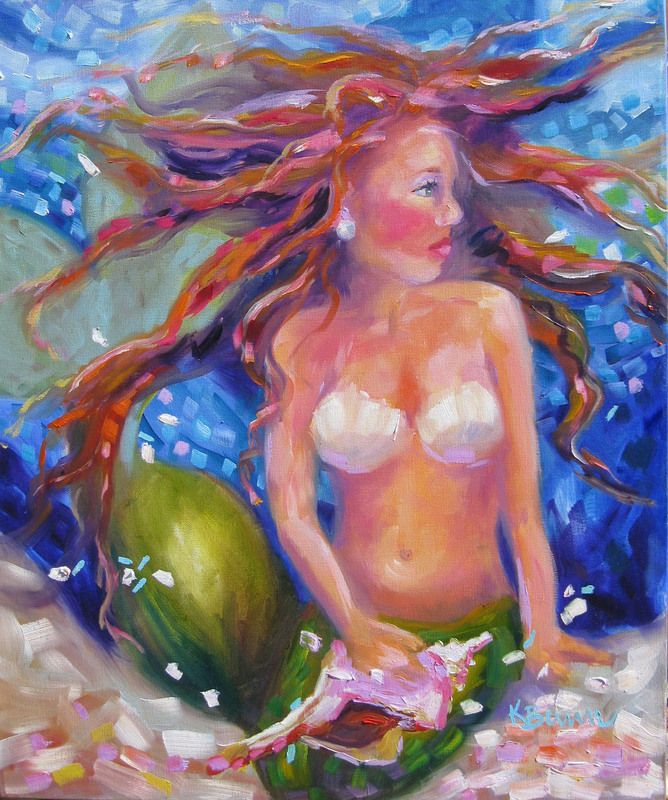 twinkling H2O’s make beautiful bookmarks…………..
…..so what is plein air? 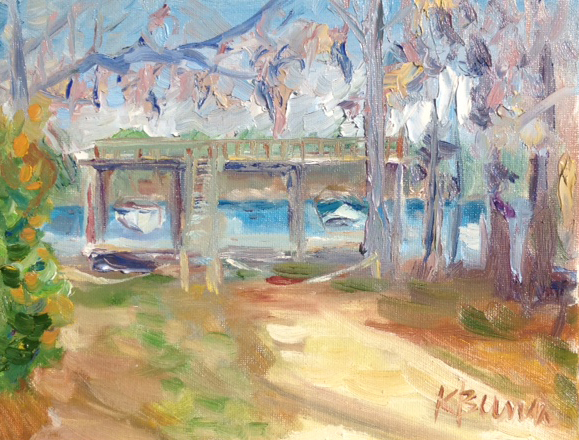 En plein air means to paint in the open air. Once a month I travel to Jacksonville where I meet with a wonderful group of artists called OOPS, Onslow Outdoor Painting Society. 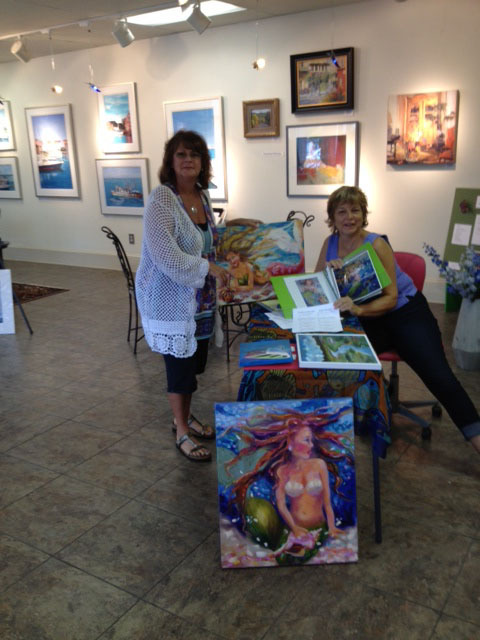 They have welcomed me with open arms and we paint different venues each month in Onslow County. I would love to start a group in my own county, maybe one day? I have compiled a list of items one might need before going in the field. This winter I challenged myself to paint our pier at the end of our street, my first time painting in the bitter cold. I painted the same scene two different ways, one where I used local color and the second where I infused my own colorful interpretation. This month’s winner is Renee from Brunswick County. 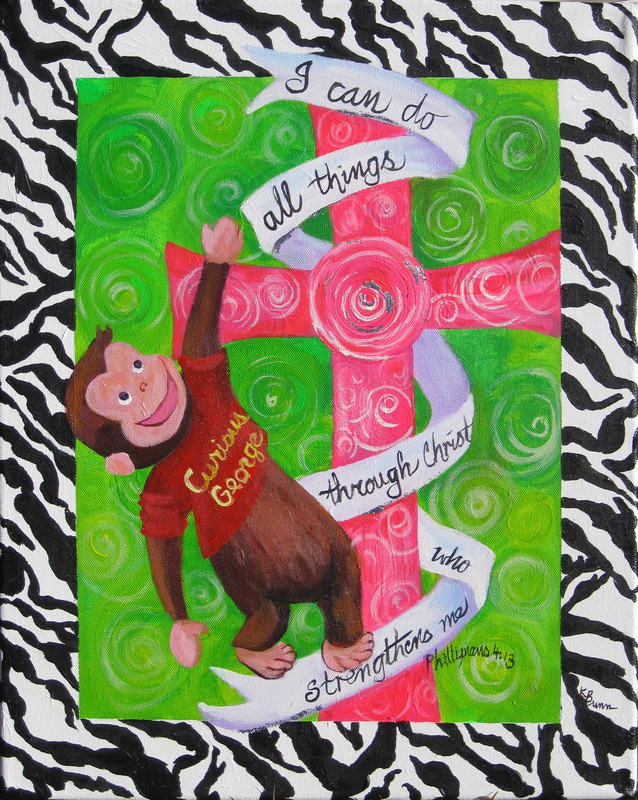 She chose “Curious, I Can Do All Things” print as her prize. Congratulations Renee! 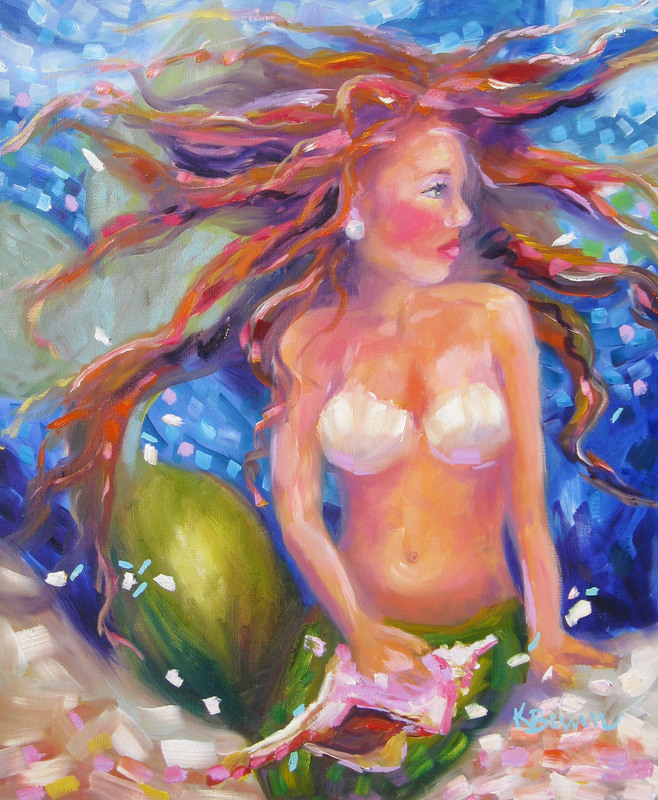 “I think every little girl’s dream is to be a mermaid or to see a mermaid. [When I was younger] I would go to the beach and cover myself in the sand.